I have a confession to make. I am a huge Terry Pratchett fan. I love his combination of fantasy, wit and comments on life. 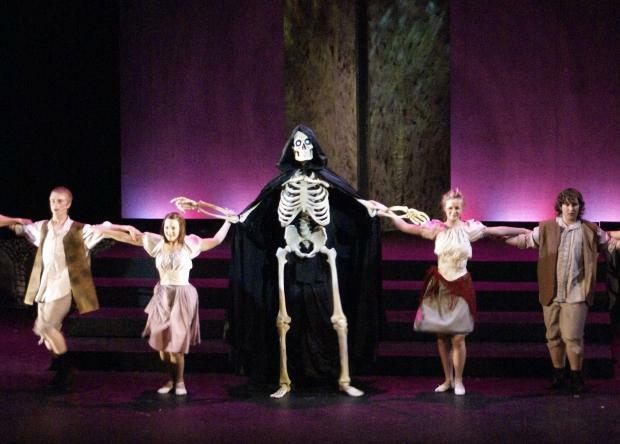 With great character development of Death (an otherwise shadowy bit-figure in the Discworld Series), once Mort thinks he gets the hang of being a Grim Reaper, Death takes a working holiday discovering dancing, drinking and his skills as a short-order chef until – inevitably – he has to be summoned back to fix the problems that compassionate Mort causes. What I liked there is a rich seam of British humour running through all of Terry Pratchett’s books, and this is no exception. With some fabulous one-liners, but a saddening dearth of footnotes, and footnotes of footnotes (my favourite part of Terry Pratchett books) it’s a great easy read, that has you laughing out loud. The only problem is it is a wee bit patchy with a couple of spectacular leaps in the narrative, but it’s such a crazy idea in the first place, all is easily forgiven. Yeah, you read that right! One of my work colleagues (another bookworm) mentioned in passing that she was going to see Mort: The Musical, and I had to go, dragging hubby all the way. Whilst the edges were a bit raw, it was so much light-hearted fun. Brought to the stage by Jenifer Toksvig and performed by Youth Music Theatre UK’s production, it’s neat little adaptation of the book. As ever, it doesn’t cover the whole book but to be honest I didn’t expect it to. With some amazing prop use, and a few natty dance numbers & songs, we grinned from start to finish. 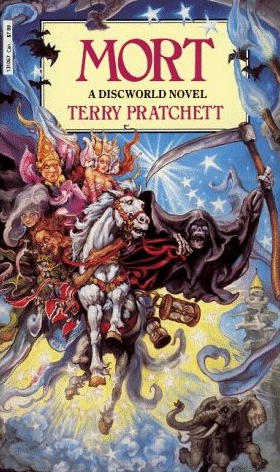 They way it’s been adapted was also quite successful – leaving in enough ‘in-jokes’ to keep the Pratchett fans happy, but un-convoluted enough to appease the non-fans (read better halves dragged along).